In Beyond E-Business: Towards Networked Structures Paul Grefen returns with his tried and tested BOAT framework for e-business, now fully expanded and updated with the very latest overview of digitally connected business; from business models, organization structures and architecture, to information technology. What used to be termed "e-business" is now simply business as usual. Today’s successful organizations are complex; they are part of dynamic business networks built on digital channels, going far beyond traditional e-business. 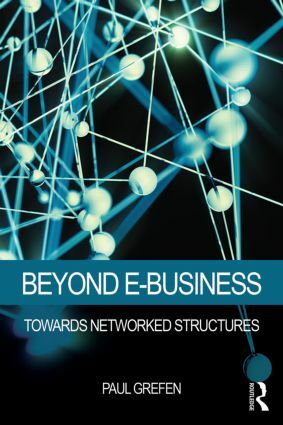 This text provides invaluable insights of modern e-business integrated with networked business, going much further than the usual analysis of traditional e-business texts. Included is coverage of the Big Five—social media, mobile computing, big data, cloud computing, and the internet of things --as well as service-oriented business and technology. This essential text provides a compact roadmap to networked e-business for engineering, information systems or business students as well as professionals in the field.